Today’s Advocate-General’s opinion in the McCarthy case raises important questions about the scope of the EU’s free movement law rules and the relationship between those rules and EU or national rules on border controls and visas. It concerns Mr. McCarthy, a dual citizen of the UK and Ireland residing in Spain, with his third-country national (Colombian) wife and their joint child (also a dual citizen of the UK and Ireland). Each time the family seeks to travel to the UK for short visits, they have to obtain a ‘family visa’ for Mr. McCarthy’s wife. This entails a trip within Spain from their residence in Marbella to the British consulate. Is this compatible with EU law? As regards short visits, an issue like this one will largely arise only for people travelling between the Member States applying the Schengen rules (22 Member States, plus 4 non-EU associates) and the Member States not applying those rules (the UK, Ireland, Romania, Bulgaria, Cyprus and Croatia). That’s because legal third-country national residents of the Schengen States don’t need visas to visit other Schengen States, whether they are family members of an EU citizen (or travelling with that EU citizen) or not. In any case, they aren’t checked when they cross the borders between those States. However, the UK and Ireland have negotiated a special protocol relating to border controls with the rest of the EU. They can check people at the borders to determine whether they are really entitled to enter the country in accordance with EU law. The other four non-Schengen States are obliged to join Schengen eventually, and must apply aspects of the Schengen rules in the meantime. So is Mr. McCarthy’s wife entitled to enter the UK with him, and what rules apply when she seeks to do so? The starting point is the EU’s citizens’ Directive, adopted in 2004, which (among other things) intended to facilitate travel and residence for exactly this category of persons. The third-country national family members of EU citizens resident in other Member States (like Mrs. McCarthy) have to be given a ‘residence card’ to prove their status. If they have such a card – and Mrs. McCarthy does – they can travel to other Member States without having to obtain a visa, even if (for instance, if they are Colombians visiting the UK) they would normally have to do so. This works both ways: for instance, if a French woman living in the UK wished to visit Germany with her Nigerian wife, Germany could not insist that the third-country national spouse obtain a Schengen visa, if the latter woman held a residence card. In light of this legal background, what is the problem? There is clearly no possibility for the UK to require a ‘family visa’ for these trips. In fact, three issues arise in this case: the applicability of EU free movement law; the possibility of measures to control ‘abuse’ of EU law rights; and the interpretation of the borders protocol. At first sight, the McCarthy family’s position falls squarely within the scope of EU law, as he is a British & Irish citizen living in Spain with his family. But the case does not concern his position in Spain, but his visits to the UK, where he is a citizen. The Advocate-General refers to recent CJEU case law (the S and O judgment) applying the citizens Directive by analogy to cases where a citizen of one Member State moves to another Member State, then seeks to return with his or her family to that first Member State. In his view, it is unsatisfactory to interpret EU primary law (the Treaty free movement rules) in accordance with secondary law which does not apply to that specific case. So he argues that the citizens’ Directive as such should apply to such cases, or at least to short-term visits as distinct from longer-term residence. Article 35 of the citizens’ Directive allows for measures to be taken to control abuse of free movement rights. The UK doesn’t claim that anyone in the McCarthy family is abusing those rights. But of course the ‘family visa’ requirement wasn’t adopted specifically for them, but for all third-country national family members of EU citizens who have moved between Member States, and who seek to visit the UK on the basis of a residence card. The UK argues that the ‘family visa’ rule is justified because checks by the UK Border Agency found that a significant number of those holding residence cards were not genuinely entitled to them (it exempts from the rule those whose residence cards were issued in a more secure form). However, in the Advocate-General’s view, a measure taken against the abuse of rights can only concern individual cases, not all cases. Finally, the opinion argues that the UK cannot justify its position by reference to the borders protocol. It allows the UK to check at its borders if people have rights under EU law, but not to breach EU free movement law as regards the position of those who indeed enjoy such rights. On the questions actually asked by the national court (on abuse of rights and the borders protocol), the opinion is clearly correct. As regards abuse of rights, the limitation of this principle to individual cases is clearly established in prior CJEU case law. Indeed, the facts of this case show why the principle should be limited in that way, as the UK is seeking to do exactly what the Directive prohibits: to impose a visa requirement upon third-country national family members holding residence cards. As regards the borders protocol, it is clearly and expressly subordinate to EU free movement law. The approach suggested in the opinion would leave the UK free to check that everyone seeking to enter the country pursuant to EU free movement law was entitled to do so, without restricting the free movement rights of those persons any further. Undoubtedly, though, the evidence suggests that some individuals with residence cards are not entitled to have them. This is a legitimate concern of the UK government, but its response was simply disproportionate. So the opinion should have referred in more detail to other methods of dealing with this issue, for instance a joint agreement between Member States on common standards to ensure the authenticity of residence cards. Finally, what about the scope of the Directive, an issue only raised by the CJEU itself? On this point, with great respect, the Advocate-General has led himself down something of a garden path. The key flaw in his reasoning is his implicit assumption that the EU citizens’ Directive can never apply to a citizen of the host Member State who is also a citizen of another Member State. On the one hand, it is correct (based on the case law, and the clear wording of the Directive) to say that British citizens, like Mr. McCarthy, cannot invoke the Directive against the UK. But on the other hand, Irish citizens, like Mr. McCarthy, certainly can. Like Schrodinger’s cat, he is simultaneously covered by the Directive, and not covered by it. Back in 2011, in a case involving a different dual British and Irish citizen named McCarthy, the CJEU ruled that the Directive could not apply. But in that case, the McCarthy in question had never resided outside the UK. As I have argued (along with Jonathan Tomkin and Elspeth Guild), in the Commentary on the EU citizens’ Directive, that judgment should only apply where a dual citizen of two Member States has always resided in one of them, which is hardly the situation when the person concerned in fact lives in a third Member State. More broadly, we argue that the 2011 McCarthy judgment is contradictory and confused, and should be set aside at the earliest opportunity. It is a great shame that the opinion does not seize the opportunity either to call for overturning the judgment or for limiting its scope, but rather assumes that its scope is very broad indeed. Having opened Pandora’s Box by arguing implicitly that no dual citizens of two Member States can ever rely on the citizens’ Directive, the Advocate-General immediately tries to close it again, by calling upon the Court to reverse the rule which he has himself created. But it would be better not to create that rule in the first place. One cannot seriously argue that the 2014 McCarthy, a pensioner who has spent only five years of his life in the UK, should be in the same legal position as regards the UK as the 2011 McCarthy, who had never resided outside the country. Leaving aside the position of dual citizens, the Advocate-General’s opinion would also e relevant to the citizen of one Member State who seeks to visit his or her own country. Since CJEU case law has already confirmed that EU free movement law applies to those who return to their own country to reside there, it must also apply to those who return only to visit. But does the EU citizens’ Directive apply as such (as the opinion argues) or by analogy (as the CJEU case law says)? Really, this is a distinction without a difference, as the outcome would be the same whichever route is chosen. Either way, the Court would be giving effect to the spirit of the free movement rules. It is unfortunate that the Advocate-General chose to chase this semantic butterfly, while leaving the front door open to the deterioration of the legal position of those who are dual citizens of two Member States. Just been reading this,And am still confused,Did the Mccarthys win this case? And can anyone tell me why I lost my case ? An opinion of an Advocate-General is not binding, but the CJEU usually follows these opinions. This blog normally doesn't discuss these opinions because they aren't final, but makes an exception for important cases like this one. As to why anyone lost a previous case, I can't comment without knowing the details. Yes the McCarthy family of 2011 lost their case, on the ground that a dual citizen of the UK and Ireland who had not moved within the EU could not invoke EU free movement law. So they were subject instead to the much more restrictive national rules. What if they has been To Ireland before,Having an Irish Passport,And also im sure it didn't say had to move at the time ? The CJEU has clarified that EU free movement rights still apply upon your return to your Member State of origin if you have spent more than three months in another Member State, but not less. See Chiara Berneri's post of March 28th on this blog. If McCarthy wins the case (in September?) 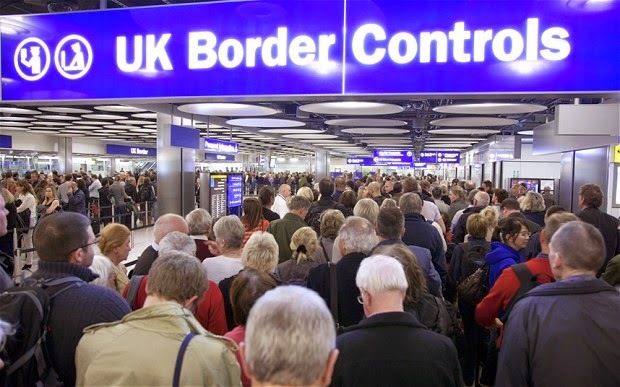 How soon must the UK remove the requirement for EEA Family Permit? Will it be instantaneous, the next day? I ask because I am a UK citizen who has exercised treaty rights in Poland for the last 5 months, my Vietnamese wife has a Polish Residence Card and we must now apply for EEA Family Permit. If they win we won't need to apply for a family permit and can use her Polish Rssidence Card instead or applying for Family Permit? Although McCarthy did win the case (in December) the rules about UK citizens living in other Member States and wanting to visit the UK with their non-EU family won't change in practice until the UK changes its national law, or until the national court follows up on the CJEU judgment. Neither has happened yet.